ANKARA, January 15. /TASS/. 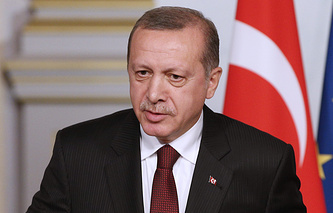 The trade volume between Azerbaijan and Turkey currently stands at $5 billion and the two states plan to increase it, Turkish President Recep Tayyip Erdogan told a news conference on Thursday after talks with Azerbaijani leader Ilkham Aliyev. The TANAP pipeline project was announced on 17 November 2011 at the Third Black Sea Energy and Economic Forum in Istanbul. On 26 December 2011, Turkey and Azerbaijan signed a memorandum of understanding, establishing a consortium to build and operate the pipeline. In spring 2012, the process of conducting the technical-economic feasibility study was launched. 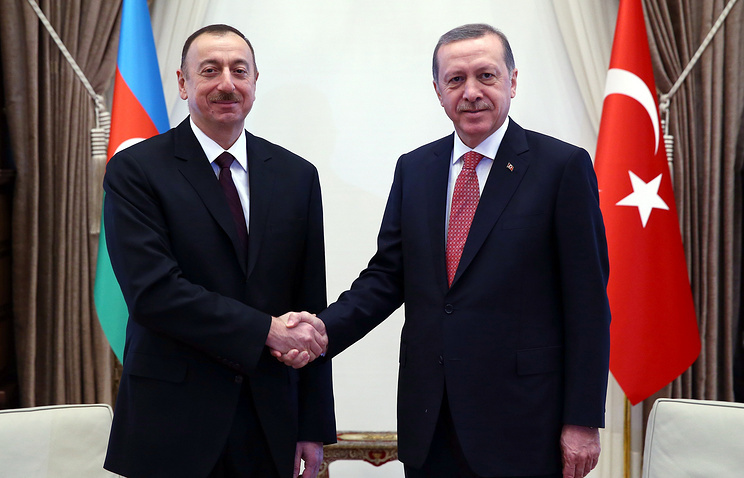 On 26 June 2012, President of Azerbaijan Ilkham Aliyev and Prime Minister of Turkey Recep Tayyip Erdogan signed a binding intergovernmental agreement on the pipeline. Erdogan said that TANAP project “has international importance” and “an important phase of its implementation” will take place this year. The Turkish leader also said that he hoped that the Baku-Tbilisi-Kars railway project will be completed by the year end. “With this railway opening, it will be possible to speak of establishing a transport link between Beijing and Istanbul,” he said.